Uña de Gato, or Cat’s Claw, is found in the lush rain forests of Peru. 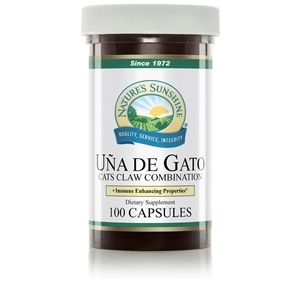 Native Ashaninka Indians have relied upon the benefits of Uña de Gato for centuries for a wide variety of health concerns. Current research indicates that it may play a valuable role in supporting the body’s immune system. Echinacea and astragalus are also beneficial for immune system support. Uña de gato inner bark, astragalus root and Echinacea purpurea root. Copyright 2018-2019 by Natural Health Enterprises -- All rights reserved.